Email is the bread and butter of most online businesses. More so than a blog or social media. For one, people who subscribe to your email list have essentially raised their hand and asked you to tell them more about you. Giving an email address is a bigger commitment than hitting a follow or like button on social media. Two, your messages are more likely to be seen in an email than a blog or social media post. An email goes into an inbox whereas a social media post may or may not appear on a person’s feed, and a new blog post may or may not be seen. Three, you have greater control and ownership of your email list. An email list service provider may make changes to their service, but they’re not going to make it harder to reach your subscribers. On social media, platforms change their algorithms all the time, affecting what followers see your posts. Blog post views are at the whim of SEO, unless you’re promoting them in email and social media. So there’s no doubt that building an email list is a crucial element in your home business marketing plan. The difficulty in email marketing is building your list. For many years, the recommended method of enticing people to join your email list is through a freebie or lead magnet. This is still a good idea; however, to boost your email opt-in rates, you should consider offering content upgrades. A content upgrade is essentially a lead magnet, but instead of being on a general topic related to your business, it’s a freebie related to a specific blog post or a bit of information you’re sharing on your website. For example, if you’re a virtual assistant, you might have a general lead magnet on “10 Ways a VA Can Save You Time and Money.” But on your service or pricing page, you might want a content upgrade such as “Calculate How Much Time and Money and VA Will Save You,” which can be a calculator that allows potential clients to see the benefit working with you specific to them. Another difference is that content upgrades tend to be smaller than your main list lead magnet. Whereas your lead magnet might be a 30-page book or mini-course, your content upgrade might be a checklist or swipe file. What are the Benefits of Having Content Upgrades? Personal reporting by online entrepreneurs that use content upgrades suggests that they can increase your subscription rates by 10-40 percent or more. The more subscribers you have, the more people you can sell to. Content upgrades offer more value to your market and all consumers like a good deal, especially a freebie. 1.Providing niched content to better appeal to your market. The more specific you can meet your target markets’ needs, the greater the chances they’ll buy from you. 2. Showing off your expertise to build trust with your market. 3. Ability to segment your email list so you can provide each subscriber with the content they most want to read (this requires an email provider that lets you tag and segment your list). 4. Feedback on the most popular content your market likes to help you know what products or services to create and provide. What can you use as a content upgrade? 1) Check your analytics or website stats to find your most popular 5 pages (posts if you have a blog). 2) Reach each post and decide what you can add as a content upgrade to enhance and add value to it. For example, if you have a food blog, you can have a printable recipe. If your content is a step-by-step article, you can have a checklist. Your content upgrade should be related to the post; however, you can keep it slightly more open so that you can use it on other posts. For example, if you have a content upgrade on the “10 Best Substitutes for Gluten-free Cooking,” you can offer that on any of your recipe posts that involve a gluten-free substitute. 3) Create your upgrade. If you’re doing a text-based content upgrade, you can send it directly in the body of the email or save it in PDF format. If you’re creating a worksheet or something your reader might want to fill out online, you can use PDF Escape for free to create the fillable parts of your PDF form. If you’re using another format, such as video, audio, or graphic, save your content upgrade in a format that your subscriber will be able to access it. 4) Upload your content upgrade. Where you store your content upgrade will depend some on what it is. If you have a PDF, you can upload it to your server, or some email service providers will allow you store it on their servers or attach it to an email (attaching isn’t recommended because spam filters may prevent its delivery). If it’s a video you can upload to YouTube or Vimeo and save it as private so that only people with the link can see it. 5) Create a graphic representation of your content upgrade. This can be a screenshot of your checklist, thumbnail of your video, etc. Or you can get free graphics. There are a variety of free and low-cost graphic tools, such as Canva, you can use to create professional looking graphics. 6) Add your content upgrade to your email follow up list. If you use an email provider that allows for campaigns and list segmentation, you’ll want to create a campaign that uses a tag to identify this content upgrade. For example, if you have a food blog, and your content upgrade is a gluten-free dessert recipe, you can tag or segment the list by “gluten-free,” or even more specific “gluten-free dessert.” When people subscribe, their subscription will have the tag added. The campaign will send the content upgrade information and any other emails you decide to set up, but also add them to your main list. In the future, if you have a gluten-free dessert you want to send an email broadcast about, you can send it to just the people who have that tag. 7) Create the email sign up form with your email service. Even if you decide to use a tool such as Leadpages or Trive Leads for a 2-step sign up on your website or blog, you’ll need to create the form in your email provider and then integrate the service and form with the tool. 8) Add the form to the post or page on your blog or website. You can copy/paste the form, or if you’re using a tool, follow the instructions for creating the opt-in option. 9) Use the graphic you made in your post to bring attention to your content upgrade. 10) Promote your article and your content upgrade. The tools you’ll need to make your content upgrade will depend on what you decide to offer. Below are a few that are free or low-cost that can help you. PDF Makers: Your wordprocessing program probably comes with either a Print-To-PDF option or a Save as PDF option. PDF Escape: Make your PDF content upgrade fillable online. Canva: You can make covers, social media graphics, and more. You can even use it make content upgrades. Visage: This can help you create visual content, which can be helpful if your content upgrade is a report and you don’t have any sort of desktop design software or experience. Piktochart: This can help you make infographic content upgrades. Google Tools: Google has a variety of document-making tools you can use for free including word processing, spreadsheets, slides and more. Loom: Free video and screencasting. Dropbox: If you don’t want to store your content upgrade on your server, you can use a cloudbased storage such as Dropbox. Just make sure you set your content upgrade so that it can be accessed by subscribers. 1. Creating a PDF of all your content. 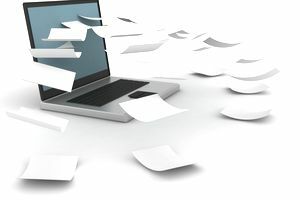 This can be done simply by copying and pasting into a word processing doc and saving as a PDF, or using a tool or plugin like Post Gopher to automate the PDF creation of your document. 2. Adding existing content upgrades to future posts. Any posts you create in which an existing content upgrade would enhance it, add it. 3. Create a resource library. If you end up having a lot of related content upgrades, you might want to add a resource library to your website that’s accessible to subscribers only.